Downloading a video or GIF file directly from twitter site is not possible because they have not provided any option like go and download these files from Twitter. But what if still, you want to download videos from Twitter, well so don’t worry because here in this article I am going to share some third party tools which will help you to download video or GIF files from Twitter https://downloader4twitter.com/ for free without any interruptions. Although, there are multiple online tools available on the internet for downloading videos or GIF from twitter for different platforms like Android, desktop, etc. but most of them have been just created for spamming and only a few of them are genuinely working. So, just keep reading this article and at the end of this article, you will be knowing about some android apps which will help you to download video or GIF files from Twitter. How to Download Videos from Twitter on Android? As I have told you that there are multiple Android applications available on the play store which ensures you to let you download twitter videos on mobile or GIF files from twitter for free. To download videos using these third-party tools you will just have to copy the video or GIF link from the twitter, paste into the tool text box area and hit enter on the download button and your video will be saved in your device. 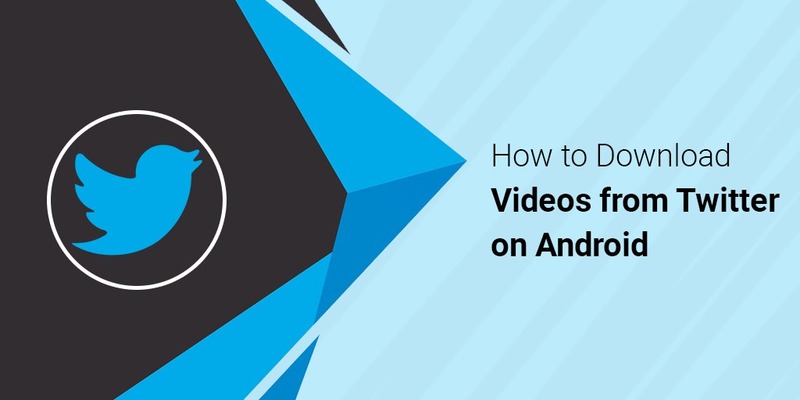 Before I share all those Android applications, let me share with you a few simple steps for downloading videos from twitter because mostly in all the applications the downloading process might be the same except a few minor changes. First of all, go and download your desired tools mention below. Then login into your Twitter account if have and if doesn’t then just create one. Find the video or GIF file you want to download. Click on the video and copy the URL path from the URL bar. The second method is right click on the three dots button on the top right corner and then click on share and then copy option. Once you copy the link, open the download twitter video you have downloaded, paste the copied link into the given text box and then hit enter on the download button. After performing all the internal process it will ask you to select the video resolution, once you select the video will be saved into your device. So, this was the few simple steps which you may apply to any tool because mostly all of them are using the same process. Tweet2gif – Tweet2Gif is an android application which is available on Play Store use for the purpose of downloading twitter videos or GIF for free without any providing any hesitation. Here, you just you have to paste the copied video link from twitter and click on the download button, the video will save into your device. Download Twitter Videos – this is another android application in which you have to do the same thing, copy the link from Twitter, paste into this tool text box and hit enter on the download button. You can get this tool from Google play store. So, these are the two most effective tool which will fulfill all your requirement of downloading video or GIF files from Twitter. Downloading videos directly from Twitter is restricted being from twitter and that’s why above I have shared few tools with all required steps for downloading videos using those tools which will help you to download twitter videos on the desktop very easily.